It's that time of year again: Apple officially announced its 2018 iPhone lineup -- the iPhone Xs, iPhone Xs Max, the iPhone Xr -- on Wednesday, during a much-anticipated event that was full of new products and updates. But forget about all of that other stuff because the biggest and most important details from the day are when and where you can get your hands on those new phones. 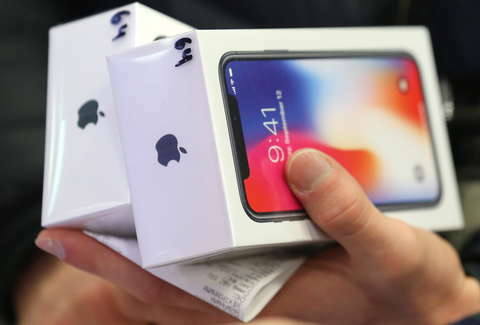 Just as it has in previous years, Apple will begin offering pre-orders for the new iPhones just a few days after unveiling them ahead of their official launch in stores in the United States and across the world the following week. Here are all of the details for each of the new phones. Both the successor to 2017's iPhone X and its giant new sibling will launch at Apple retail stores, phone carriers, and other retailers on Friday, September 21. You know when Apple stores have lines that rival the ones outside Supreme? This will be one of those days. As for pre-orders, Apple will commence accepting everyone's money for the new devices at midnight on Friday, September 14. If you're hoping to snag a particular model from Apple, it's best to get the shipping and payment info listed in your Apple ID ready well ahead of time. Oh, and you should probably set an alarm. Apple's all-new iPhone Xr, the colorful and slightly lower-cost model in this year's lineup, will hit stores on Friday, October 26. Pre-orders of the iPhone Xr through Apple will go live on Friday, October 19. It's also worth noting that your cellular carrier may also offer pre-order for all three of the new iPhone models as well. Check back for more updates on everything you need to know about Apple’s 2018 iPhone announcements, including the differences between all of the new iPhones, how they compare to last year’s models, the new color options, when you can pre-order them, how much they’ll cost, and more.